December 16, 2014  Heavy rains are hitting drought-stricken California. But instead of sinking into the earth, the water is rushing away in areas burned by wildfire, raising the danger of mudslides. September 22, 2014  More than 5,500 firefighters are battling the so-called King Fire in the Sierra Nevada forest area. Some 2,800 people have been evacuated. September 17, 2014  The largest, spreading through the Sierra Nevada forest east of Sacramento, has engulfed more than 18,000 and is only 5 percent contained. 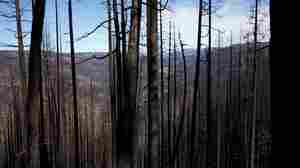 May 14, 2014  Fire officials hope they've seen the worst of a fire that has burned 1,550 acres. They also say they'll get to the bottom of a message in an alert stating, "fire in your pants." January 16, 2014  The fire, apparently started at a camp site, has swept through more than 1,500 acres in the San Gabriel Mountains east of Los Angeles. August 24, 2013  The Rim Fire, which has crossed into Yosemite National Park, is already affecting the power supply to the Bay Area, 150 miles to the west. June 3, 2013  Cooler weather helped firefighters gain ground on a huge blaze that has scorched more than 45 square miles northwest of Los Angeles. 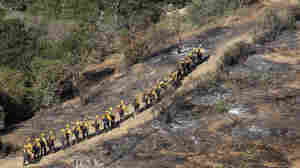 Firefighters were able to double containment of the Powerhouse wildfire, which had been fueled by dry brush and windy conditions over the weekend. 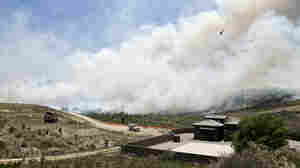 May 5, 2013  Firefighting officials in California are optimistic that they can get more of the Springs Fire under control Sunday, as for the second day cooler temperatures and higher humidity are expected to help their cause. 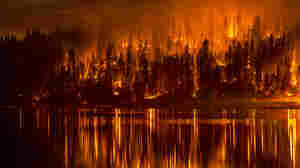 The fire could be entirely contained by Monday, officials say. 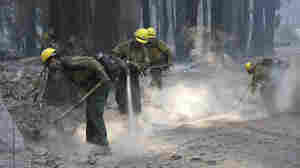 May 4, 2013  Firefighters in Southern California are welcoming the latest weather forecast, as lower temperatures and higher humidity could help them control the Camarillo Springs Fire. 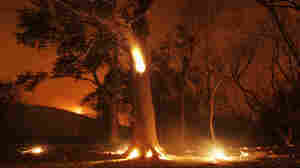 So far, only 15 structures have reportedly been damaged, in an area where rugged wilderness provides plentiful fuel for fires. 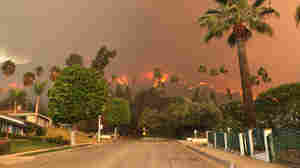 May 2, 2013  The blaze is burning in the rugged foothills of the Santa Monica Mountains about 50 miles west of Los Angeles and less than a dozen miles from the Pacific Ocean. 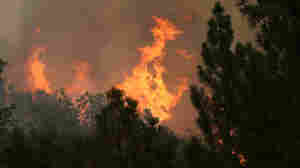 It has forced evacuations of hundreds of homes. 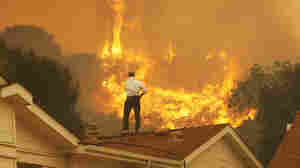 July 3, 2008  As hundreds of fires continue to burn in California, we'll talk with the men and women on the front lines of firefighting. Are you a firefighter? What's your story?